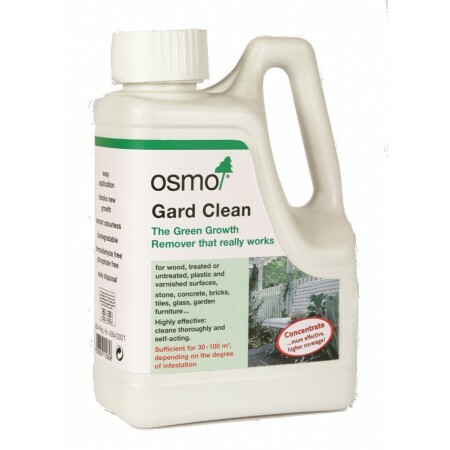 Osmo Gard Clean is a highly effective cleaning concentrate especially developed for the easy removal of green growth and similar natural dirt from exterior surfaces. Cleans and protects green growth thoroughly and is self-acting, no scrubbing necessary. After washing with water and thorough drying, protect the wood with a finishing treatment from the Osmo range. For cleaning of plastic surfaces please check colour stability.